Kenner, La. – Yesterday, millions of Americans celebrated Thanksgiving with their friends and family. On the same token, according to the Mailman School of Public Health at Columbia University, 42 million Americans live in food-insecure households defined as uncertain of having or unable to buy enough food to meet the needs of all their members. The Louisiana Hospitality Foundation recognized this need in our own community and showed up huge to make an impact in Kenner Tuesday. Founded in 2006 by a group of hospitality leaders in the community, The Louisiana Hospitality Foundation (LHF) has set a mission to help the hospitality industry by supporting the very individuals who make it what it is. Louisiana is a state known for its culinary makeup, not to mention its amazing architecture that is preserved in some of the most iconic hotels in the country. These restaurants and hotels play a vital role in our economy, thus it makes sense to support those that it employs. By supporting workforce development programs, providing access to culinary and hospitality education, promoting a positive perception of Louisiana’s hospitality industry, and providing financial assistance and/or guidance to people in the hospitality industry during times of crisis, LHF can give back in the best way possible. 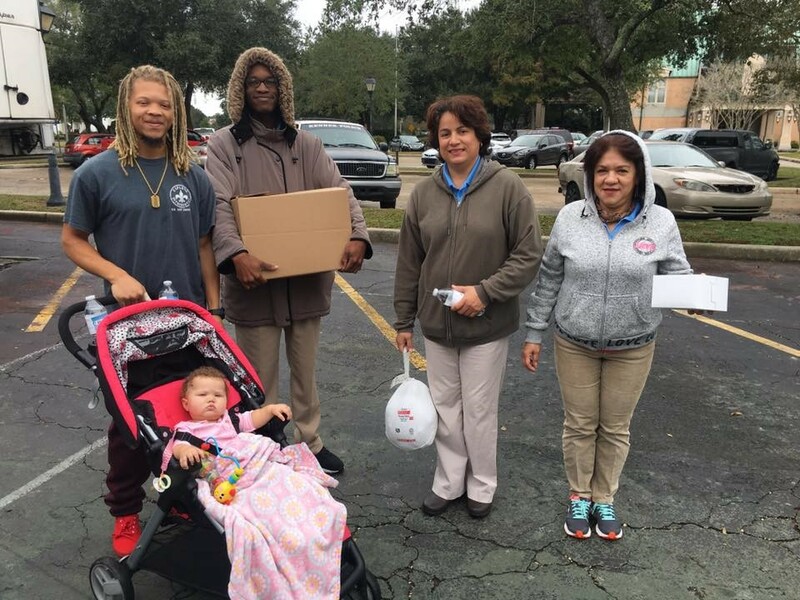 With a lot of events to support this mission, the Thanksgiving Outreach was just another way to support the hospitality workers and their families. 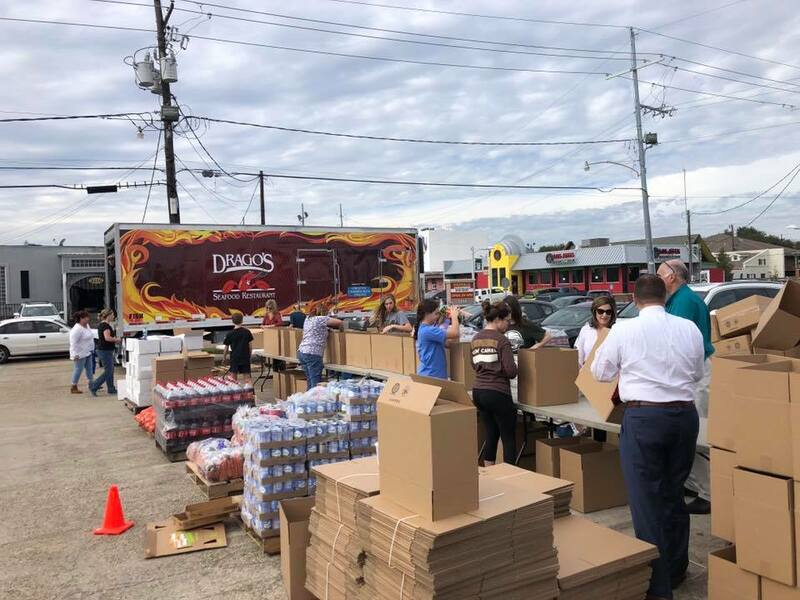 Managers and owners of several Kenner hospitality businesses and restaurants were given vouchers to hand out to employees that were in need of some help during this holiday time. The day before the event, 350 turkey dinner kits were assembled. In addition to the whole turkey, packaged sides, fresh produce, canned goods and beverages were also a part of the kit. Desserts were delivered the morning of the event and rounded out the meal, giving the families everything they needed to have a wonderful Thanksgiving meal. Members from the Kenner community arrived and showed their gratitude with smiles and thanks for the assistance to make this happen. 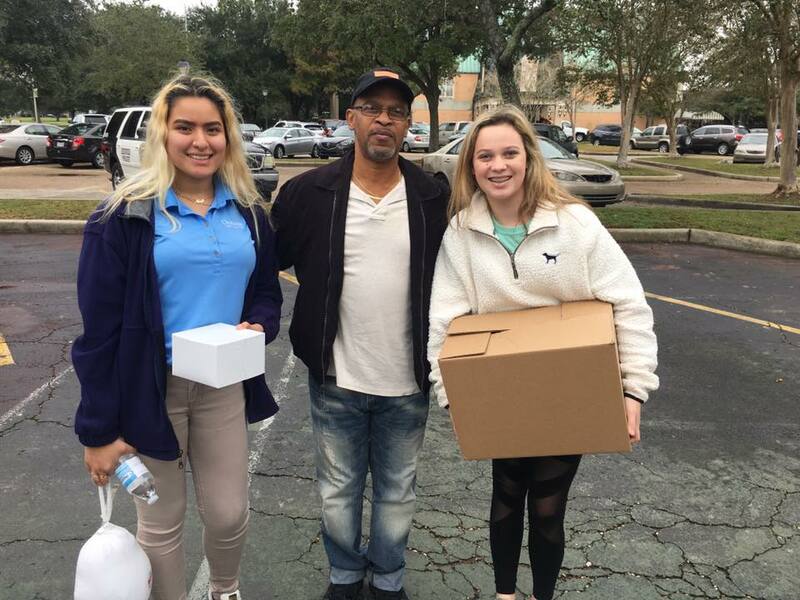 In addition to Kenner hospitality workers, LHF was able to help the Kenner Food Bank and provide 40 meals to Chateau Golf & Country Club staff. Chateau Golf & Country Club hosted the Kenner Wine & Food Event in which proceeds were used to help fund this outreach. 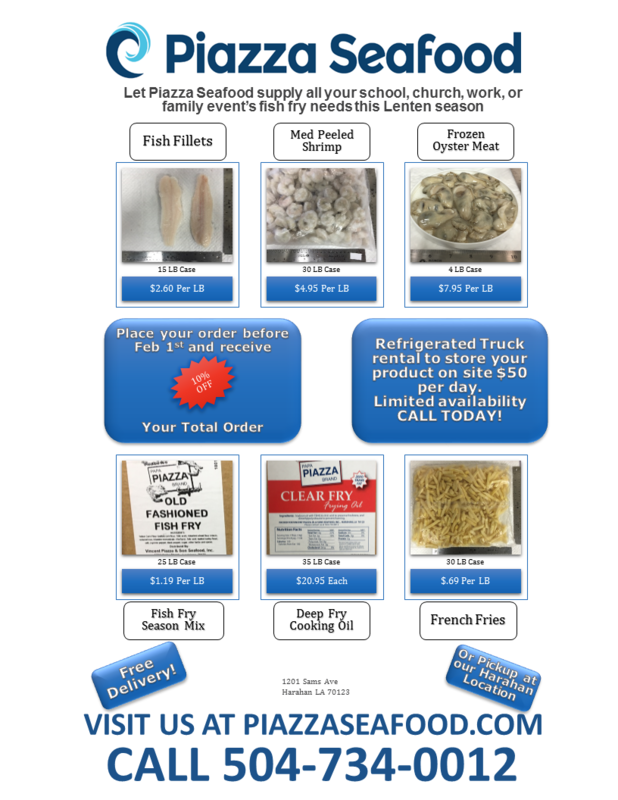 Piazza Seafood is encouraged by the commitment by LHF to make this community better by assisting its hospitality workers.